This book is a sequel to Empire Of The Bs: The Mad Movie World Of Charles Band (2014), when Band was running Empire Pictures. When his company collapsed, he created a new one in 1989 called, Full Moon Entertainment, that pretty much felt like Empire Pictures: The Sequel. A lot of the genre movies I considered, and still consider, favorites of came from those two studios. 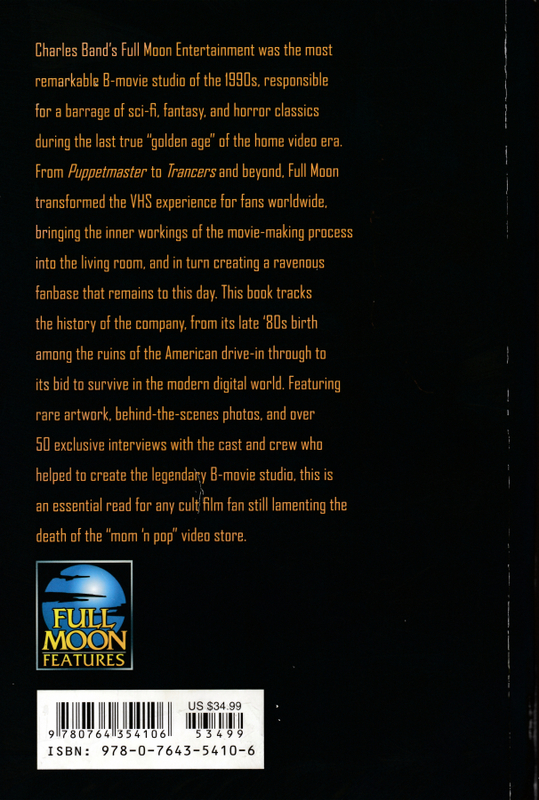 As you can tell from the photo above of the book’s contents Full Moon had many backers. That’s the one thing Band decided on when he formed the studio, he needed a “sugar daddy,” something he never used with Empire Pictures, and the first one out of the gate was Paramount Pictures. Most of the movies I love came from the Paramount era, and that era lasted five years 1989-1994. The impression I got was Band had a lot of great ideas, but he didn’t fully commit to funding them, so there are a lot of movies he made that never quite lived up to the potential of what they could have been. Having said that there were times when he had an idea and funded it beyond all reason, but limiting budgets eventually caught up with him and Paramount bailed. Viacom eventually bought the studio and “cleared out the old guard,” so there’s a couple of reasons there why Full Moon split from the studio. Band’s idea for starting Full Moon was his love of comic books and their interconnected storylines, and that’s what he set out to mimic with his movies. 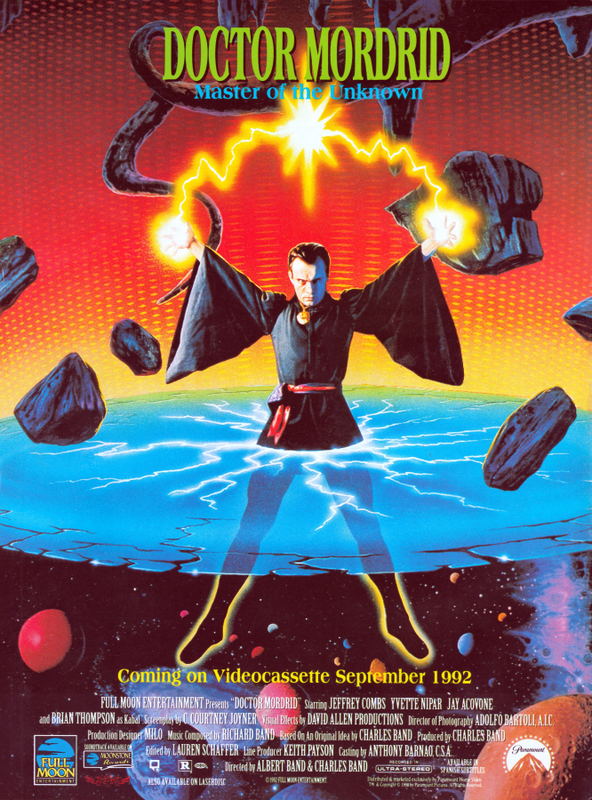 One of my favorite comic book inspired movies he created was Doctor Mordrid (1992), and there’s a great chapter on it and the proposed two sequels they were going to do, but the Paramount split ended all that. I always thought a sequel to that movie would have been great and until now never knew why it didn’t happen. The chapter even gives in-depth details on what these two movies were about, for the scripts where written and they were in pre-production: Doctor Mordrid II: Crystal Hell and Doctor Mordrid III: Shadow Queen. Jeff Combs who played Mordrid is even recounted as having read the script to the first sequel and liked it so much he called the screen writers to praise them. There’s another chapter that sticks out of a movie called, Ragdoll, that was days away from filming, in fact they were doing rehearsals with the cast when it was shutdown, this again due to money having dried up. This too gets its own chapter. One of my favorite chapters, however, is the origin, filming, and the not finishing of stop-motion FX artist, David Allen’s, The Primevals. 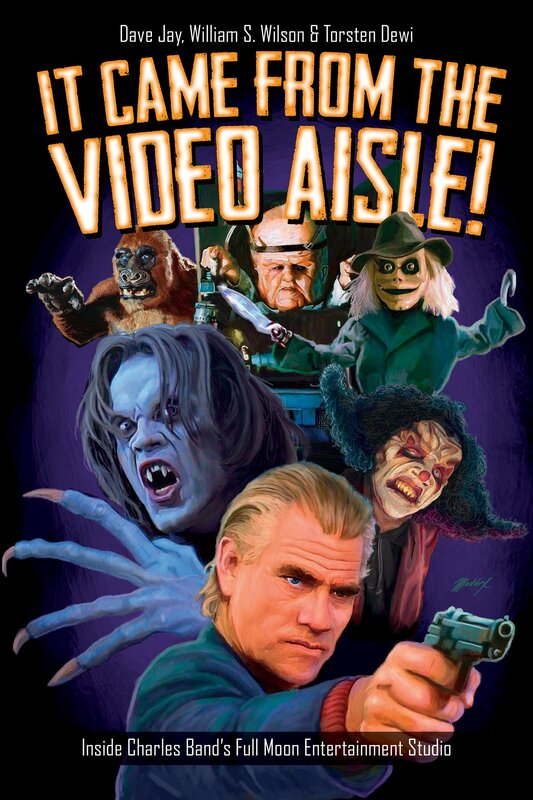 Most of Allen’s work can be seen in Band’s Full Moon and Empire movies and this was a passion project for him I had heard about in the pages of Fangoria. He managed to get through principal photography and into post post-production before his cancer killed him in 1999. The powers that be have since tried to come up with the funds to finish it, but to this day haven’t been able to. 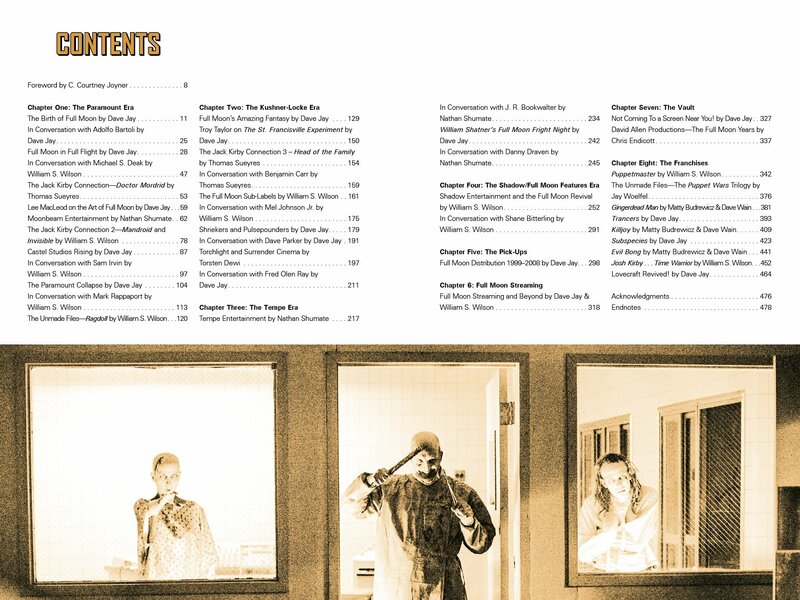 That’s just a sample of what you’ll find in this tome. Just about every movie Full Moon cranked out is dissected, and the book will take you right up to where Band’s career is at the moment. My only complaint, a good amount of the copious photos inside are too small. The first tome, Empire Of The B’s, is for all intents and purposes out of print, but you can still order it from Full Moon’s site here. If you want this new book, you can order it here on Amazon!